Since the subjects and the subject matter studied in MBBS is entirely different from the intermediate level, students in the beginning may find difficulty in studying, as the topics and terminologies are completely new to them. But as you go on and with keen interest, it will eventually be interesting and fun to learn. Consulting the seniors will have very valuable role. 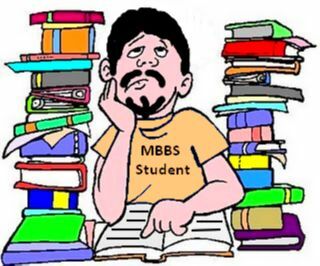 Through out the 1st 2 years of MBBS you should follow these guidelines and tips. Attend classes regularly: Missing the classes means missing several important points, experiences and tips that teachers share in their lectures. They are seldom found in any books. Moreover, one who misses the class will not be well acquainted with the topic and probable questions that may be asked. Know the lesson plan: Go through the topic beforehand to have a rough idea. This will help you to pick up what the teacher is mentioning in his lectures easily. You can do this only when you know the lesson plan. Be keen to learn: You must have a keen interest to go through a medical dictionary whenever you find a new medical terminology. This will help you a lot in understanding different topics. Regular studies: Study regularly 4-6 hours a day even when there are no exams arriving. In this time, you should concentrate in making notes, highlighting important texts in book, creating mnemonics and every other things that can be done to make studying easier for future. You can take a break on a friday or saturday night but utilize the morning for studies as brain has higher ability to catch things then. 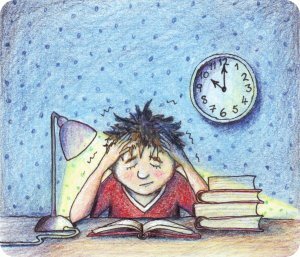 Choose your study time according to your control over sleep. Are you an owl or a early bird? In MBBS life, it doesn’t matter till you can study. I couldn’t wake up timely in the morning so I used to sleep late at night. Spend your time on Understanding topics: Understanding makes memory sustainable compared to mugging up. Increase your study speed and writing speed. Revise frequently: First time when you read a topic, it may take you an hour. The second reading may take you 45 minutes and you’ll notice that the third reading won’t take you more than half an hour. Discuss subject matter and questions with your friends and recall. Make a habit of making notes and charts of important units, standard values and formulas and stick it in front of your study table or wall of your room. Free yourself from stress between your classes and study time by listening to music, playing games or going out. Avoid wasting time on unnecessary topics that will only create a load on your brain. Utilize the technology: Specially for anatomy, embryology, physiology and pathology, video animations and mnemonics can be of great help. 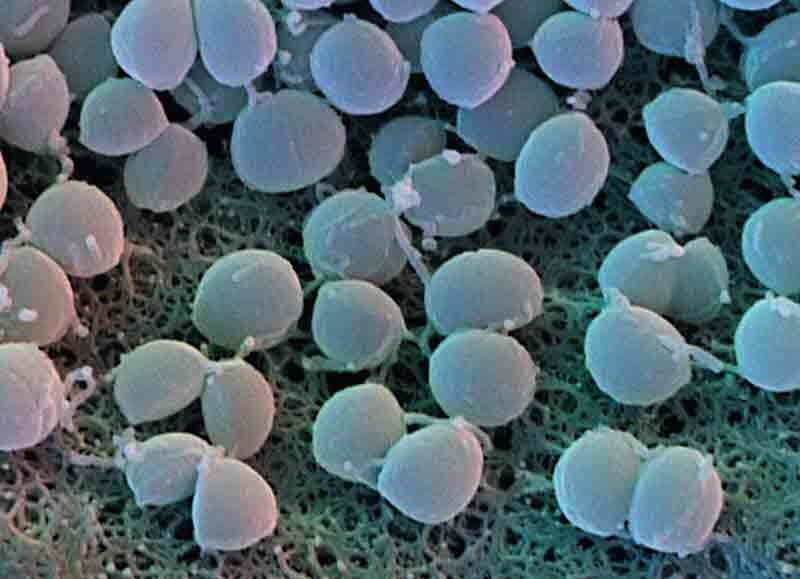 “Illustrated Pathology” and “Harshmohan” can help you in drawing gross and microscopic features. These are Routine study tips. At the same time, don’t feel ashamed of going through guides and past questions ans they are equally important from exam point of view (passing the examinations). If you have any more study tips please comment and feel free to share your experiences. Wt rank u got bro? Well Yunisha, I am not sure about whether the degree is valid in Nepal or not. You should once refer a education consultancy for this or Education board in Nepal. did studing in china for mbbs is good? Hard to say, but it depends on the Institute you are studying. Many colleges do not have regular classes and mentor-ship, so please research well before joining in. Also, look into the fact that how the people perceive your degree back in your country. Not to offend anybody but suggesting you the best. Good that you want to cover the missed topics. Embryology and Histology are small but important domains. Try to accomodate Embryology at Weekends. Histology can be done on everyday basis. While studying try to do it system wise. Like when you are studying CVS, finish histology. Study embryology in a bulk serially. what Medical institue are you studying in? And where in china?? As such, there are lectures on USMLE but not on MBBS topics. USMLE lectures can be helpful though. Hi, I am currently a student at New York and I an going to india to get a mbbs degree can you tell me how it is, is it really hard?? Gurjit, MBBS degree is tough enough to break down any one. Thing is you need to be brave, enthusiastic and Persistent and success won’t be that difficult. Sir, I want to study mbbs from india with dpnation..
so will it affect my degree or it will remain normal as it is…? sir, I’ve joined the medical college 15 days late. Will that effect much……? And how much time will it take for me to cover up…? Sir I am studying mobs in Philippines davao medical school,now I am entering 2nd year.Will it easy to pass mci exam?And give me some tips for that. Hey I have a month left for final second year exams ! What do I do?? I am an average student who wants to do well so please tips!! Making notes does help, if you have time. Reading via notes is 10X faster . hey hi i am STUDYING 4th year MBBS IN CHINA.. till now i have passed all the exams in the first attempt by just mugging up the important points given by our teachers.. i used to get good percentage with nil knowledge (i guess) i want to attempt MCI next year.. i have no idea where to start.. is it necessary to study line to line in text book.. in that case it will be very difficult.. i am really confused.. please help me out..
Sir, I am an average student and I like to study more if I have discussions with others but ppl surrounding me discourage my point of studying and indulge me in other activities what should I do now to make my self involved in studies as I get bored when I read alone?? I have passed GED with ‘ A’ grade from nepal.now I want to study mbbs it is possible?and ged allow to admission mbbs?if yes which country ll be best for admission ? Imam, if the time rule does not stop you from appearing for exam, you can cover it up with extra 2 hours per day and not wasting few weekends, getting good friends and seniors help. I was myself 1 month late in joining during my MBBS, but it did not make much difference after few months. At first 2-3 months, most time is spend on getting oriented to Medical terms and terminologies, so your colleagues aren’t too ahead for sure. Work hard and catch up. Any help, do let us know. Sir, it is left 9 days for my medical entrance and i am soooo weak in physics. how could i cover it. And how many marks should i get in eamcet , out of 160 to get seat in osmania medical college or gandhi medical college at hyderabad. Actually i have joined medicine 1st yr in kmaineni medical clg!! i want to know the books to be reffered!! Studying MBBS in South America is good? I have obtained 50% in pcb in 12th is it possible to get mbbs admission if there is a is the solution.